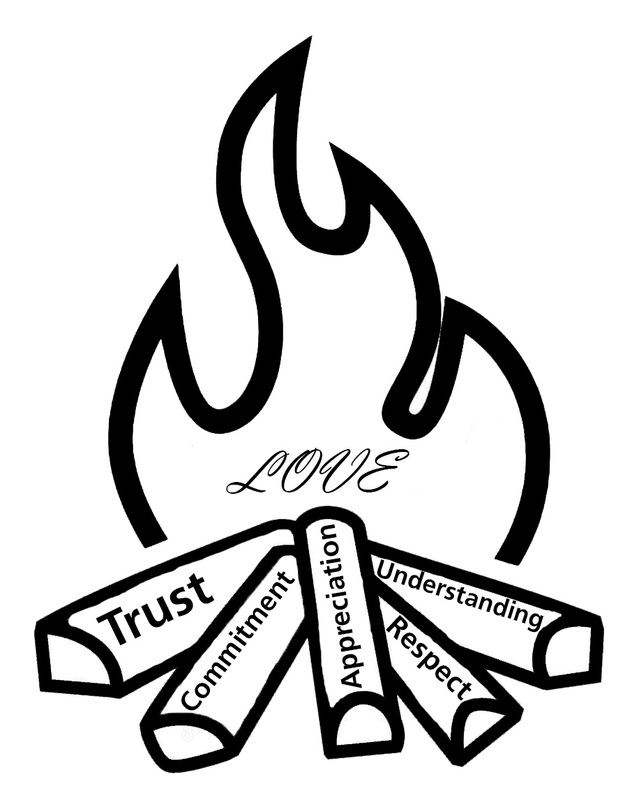 There are number of terms referencing fire that have doubled as words used to describe various aspects of relationships. Ruminating over this fact, it’s easy to let your mind conjure additional parallels between the physical element of fire and the fire that lies at the heart of our relationships. I recall the experience of gathering surrounding wood and kindling just off the campgrounds nearby. Campfires are admittedly most sensual at the beginning as the wood begins burning, crackling, and increasingly popping off the wood as the sparks begin to fly in all directions. This is what happens in relationships which can be replicated and resuscitated during times of uncertainty, boredom, and loss of energy. I think about the times I struggled to get the fire started in the first place, the times I painstakingly created a nest of kindling at the base of my carefully constructed log arrangement to ensure a long-lasting glow and the times I threw my hands in the air and relied solely on lighter fluid to give me a sudden burst of flame that would inevitably flicker out too quickly to rely on for warmth or food. I think about the times I attentively poked at the fire, making the necessary adjustments to make sure that embers flared back up into a healthy blaze, the times I’ve let the fire fizzle out on its own, watching the embers continue to glow for a while until they faded into steaming remains of what it was, and even the times I simply doused the fire with water, abruptly and effectively ending any chance for the fire to continue burning. Pulling myself from my wilderness-centered reverie, I then turn my thoughts to relationships that so mirror these camp fires. Building a strong foundation is essential to ensure a long-lasting, happy relationship. This beginning step is key as it is the substance of your entire relationship. Just as the log construction of your fire is the base of the blaze, it is also the base on which you build your healthy, loving relationship. This base consists of important structures that guide the relationship and helps to keep both partners on the same page as the relationship grows, develops, and changes. To keep the fire burning bright, one must feed it with kindling. To keep a relationship burning bright, one must feed it with date nights, romantic gestures, or the little things done day-to-day to show you care. Each relationship’s “kindling” looks different, as different people express and feel love in different ways. It is important to share with your partner what kindles your love and passion otherwise it won’t be fed properly and can run the risk of dying out from a lack of kindling or even being suffocated due to too much kindling be thrown haphazardly into the flames. The fire of your relationship needs loving care to continue burning brightly. No couple can expect to experience the benefits of the relationship – the warmth, the security – if they are not willing to put in time and attention. As said before, relationships grow, develop, and change. Once a foundation is built, adjustments need to be made as a couple evolves together to keep the healthy flames alive. As a pair becomes closer, they become more attuned for the relationship’s needs are and are more equipped to feed the flames so that both are still able to feel the gentle heat. The glowing embers of a fire still emanate warm and the glowing embers of a relationship still emanate love. It is unrealistic to expect that the fire of your relationship will burn fervently at all times – every relationship has ups and downs. Glowing embers can readily rekindle into that healthy blaze. 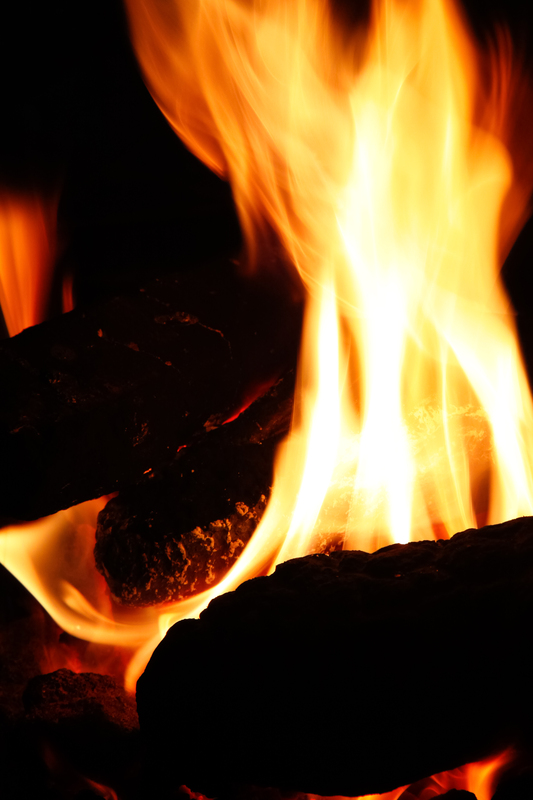 Just as done when building the fire for the first time, it will need to be determined whether what your fire needs is new logs, extra kindling, or just a good blow. Talking to your partner about what both of you need to fan the flames will give you all the logs and kindling you need to keep that fire burning bright and long. Sharing our thoughts, feelings, hopes, dreams, wants, and needs supply the fire of your relationship with oxygen, breathing life into it. Assuming you partner is a mind reader, or putting up walls to block good communication, are sure fire (pun intended) ways to neglect the fire and let it burn out. Once a fire burns out, it’s easy to look over the smoldering aftermath and blame it on bad logs or wet leaves, when in reality a little more oxygen flow to the flame could have kept it burning. Communicating isn’t always easy for everyone – but even that is something that needs to be communicated. This way partners can practice patience and openness, and the relationship can continue to progress forward rather than stalling in a place of frustration. And communicating isn’t just about the words. Think about the last time you head a story around the camp fire. What really stuck with you? Was it the exact way that the tale was worded? Or was it the creepy timbre of the storyteller’s voice, the faces and gestures made to convey the actions taking place in the story, and the flashlight used to highlight and focus the listeners on the storyteller? Odds are you remember a great deal more about the latter than the former. Non-verbals are an incredibly important piece to the communication puzzle when it comes to any relationship. Keep in mind your tone of voice, your stance when talking, and how well you are listening when communicating with your partner. Only healthy communication will keep the supply of oxygen to the fire steady and constant. A well-built relationship delivers so many positive things into your life, just like a well-built fire – but you need to be willing to take the time to care for it, to tend to it, otherwise it will flicker out. Now, this isn’t all to say that your relationship should feel like a chore – quite the opposite in fact. Have you ever built a camp fire? Worked out your favorite way to position the logs, prodded at the fire while it burned to keep the logs catching? While it takes time and patience, there is a strong sense of purpose in the task at hand. And when the warmth surrounds you, you aren’t thinking back about what an inconvenience it was to build, you are just there, in that moment, enjoying what you created. Imagine that same sense of accomplishment being shared with the person you love more than anyone as you are enjoying the warmth of the relationship you have built together. Think about these insights and, if you choose, do share them with that special person so that they spread like wildfire (if you’re actually out there camping, do make sure you don’t get too carried away and forget to extinguish those “not-so-noticeable” remaining embers! ).